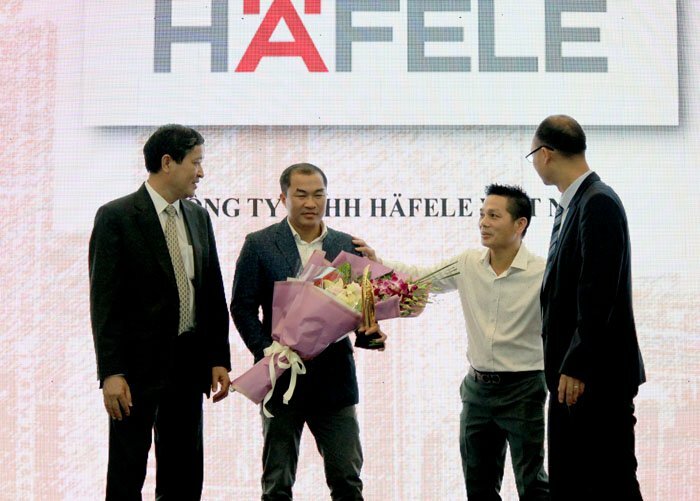 Häfele Vietnam is proud to have been voted one of the 10 most prestigious brands in the sectors of furniture and construction materials in 2018. With the participation of nearly 100 brands, the vote was organized by Construction Newspaper, a publication of the Ministry of Construction, among its readers and local consumers. To have gained such remarkable recognition in our 20th anniversary is a great honor and motivation for us to continuously introduce more and more innovative project and home solutions to Vietnam.